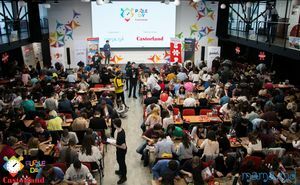 Registration for the Puzzle Day by Castorland 2019 is open! 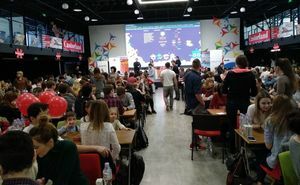 On March 24, at the Tekwill center there will take place the Puzzle Day by Castorland 2019 - the championship of building puzzles at speed. This unique competition, which involves fastness, logic and teamwork, is held for the sixth time in Moldova! Anyone who likes solving puzzles can join in! Teams formed of family members, friends, colleagues or just like-minded people can participate in the race. The only condition is to have a team from 2 to 4 people. 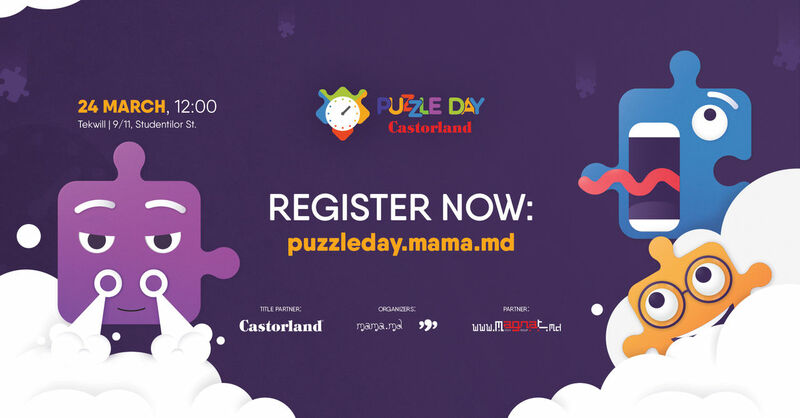 Think of a name for your team and register: now you are official participants in Puzzle Day by Castorland 2019. On the race day the participants will receive a 500-elements puzzle and 2 hours to build them right. The winner team is the one who puts together the whole puzzle the fastest. The competition has two categories: professionals and amateurs. The difference between the two is that professionals receive a more complex puzzle picture. Regardless of the fact that the team has managed to put together the pieces, the participants can keep the puzzle. So, if you like building puzzles and you want to see how good you are at it, gather your team, give it a name and register. We are looking forward to seeing you on March 24 at 12:00 in the Tekwill center! Let’s find out together who is the fastest, the cleverest and the most skillful! 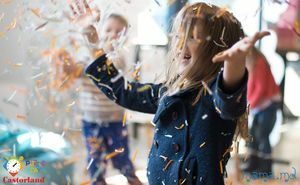 - From 21 March 2019 the price is 400 MDL (20 EURO). This event is organized by the most popular women’s forum in Moldova mama.md and the largest free ads board 999.md.